Nice experience with the instructor and she is very clear and detail. this makes cooking simple and easy.. 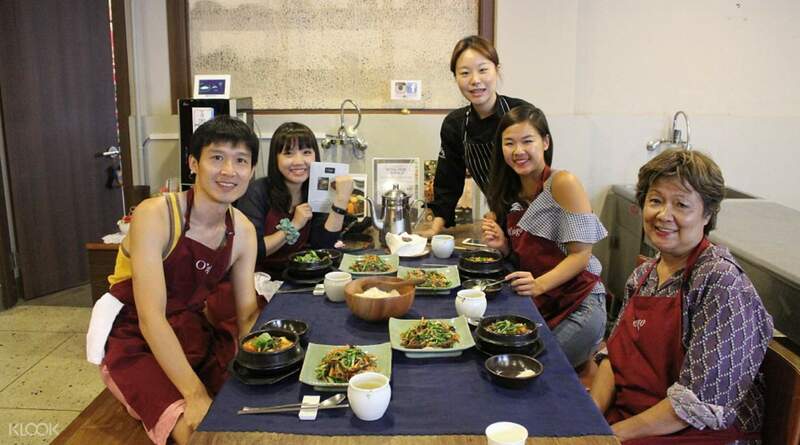 Whether your cooking skills are bare minimum or you're new to cooking Korean food, this course is designed for beginners to successfully learn how to create traditional Korean dishes. 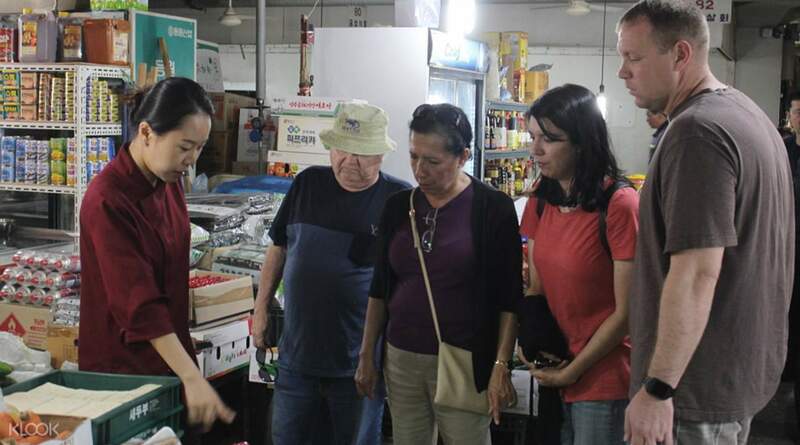 You are immersed in the entire cooking experience from buying ingredients with a traditional market tour near the cooking studio. After a demonstration by an experienced chef, you get to try your hand in creating the dishes with tips and guidance from the chef the whole way through. Best of all, you get to taste the fruits of your labor once the cooking's over! The receipe is awesome! The teacher was very informative too. my soondubu and seafood pancake taste great. Thank you. Will come back again when i visit korea.. The receipe is awesome! The teacher was very informative too. my soondubu and seafood pancake taste great. Thank you. Will come back again when i visit korea.. I learnt the japchae and spicy chicken stew in class and it was fun! Market tour was informative as well and got to see the stalls setting up early in the morning! I learnt the japchae and spicy chicken stew in class and it was fun! Market tour was informative as well and got to see the stalls setting up early in the morning! Great experience. Staff were friendly, the market tour is an eye opener. Had so much fun learning about the different crusine and type of sauces. Great experience. Staff were friendly, the market tour is an eye opener. Had so much fun learning about the different crusine and type of sauces. I joined the Tue course for Kimchi & Bulgogi. It was fun and well organized. The course started at 9:30 which was different from Klook's schedule and I almost miss the market trip. (so pls don't forget to check the confirmation letter ). The most impressive thing is the kimchi pancake that our chief made for us (I never taste so crispy & delicious one before). I joined the Tue course for Kimchi & Bulgogi. It was fun and well organized. The course started at 9:30 which was different from Klook's schedule and I almost miss the market trip. (so pls don't forget to check the confirmation letter ). The most impressive thing is the kimchi pancake that our chief made for us (I never taste so crispy & delicious one before). The class was very fun, intimate, and informative. The small size and the host's ability to speak in English makes for a very successful class. The instructions were very clear so it was easy to follow. They are also very prompt in calling and making sure you are coming. They also have a photographer who takes good pictures of you so you can concentrate on cooking :) overall great experience! The class was very fun, intimate, and informative. The small size and the host's ability to speak in English makes for a very successful class. The instructions were very clear so it was easy to follow. They are also very prompt in calling and making sure you are coming. They also have a photographer who takes good pictures of you so you can concentrate on cooking :) overall great experience! The experience was great! 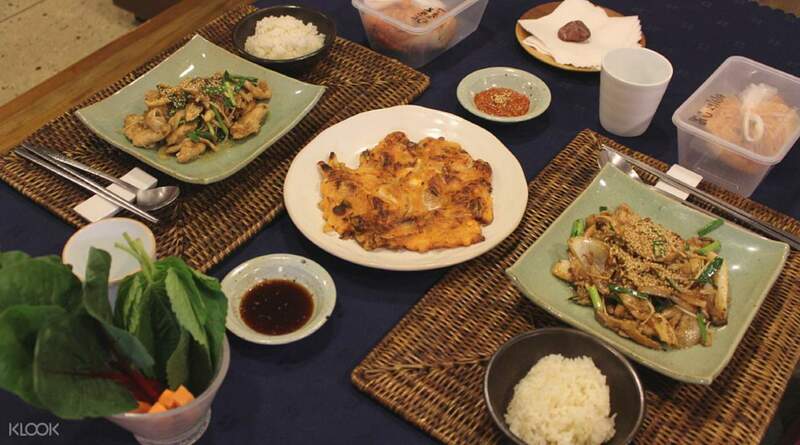 Although we know how to cook, this is a great experience to use Korean tool and ingredients to make food. The teacher speaks English very well. Her instruction is very clear. We can successfully make the dishes. The experience was great! 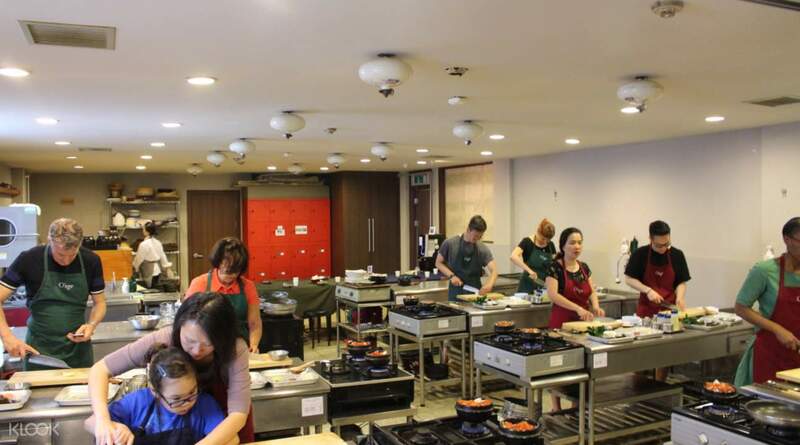 Although we know how to cook, this is a great experience to use Korean tool and ingredients to make food. The teacher speaks English very well. Her instruction is very clear. We can successfully make the dishes. there was only 4 of us at the cooking class. we had all the attention from the staff. they spoke fluent english and taught us about the food culture in korea. highly recommend this! there was only 4 of us at the cooking class. we had all the attention from the staff. they spoke fluent english and taught us about the food culture in korea. highly recommend this!